Rudbeckia occidentalis 'Green Wizard' is an exciting new perennial for the garden. Rudbeckia, the Black-eyed Susan, does not come dressed in autumn colors anymore. Instead, in waltzes R. 'Green Wizard' (Black coneflower) with a beautiful, tall black conehead with not a petal to be seen; just beautiful green sepals at the cone's base. Susan fled the neighborhood, now that the coneheads moved in. Easy to start from seed, they will bloom the first year provided you sow the seed early enough. My experience with these plants is they need full sun here in our maritime climate. In shade, the flower stems tend to flop over. In full sun the stems grow straight, strong and tall. The flowers are excellent for cutting, not only for fresh arrangements but also for dried flowers. The tall stately plant can be tucked in behind the border. Its unusual flowers stand unassuming until closer inspection reveals their true beauty. Supposedly, deer resistant, but as I normally warn—resistance depends on your local herd. My own observations of the plants in my garden reveal that our Pacific Northwest bees and butterflies flock to this rudbeckia when in bloom; while seeds left on the cone heads provide food for birds. A new addition to the Plant Gallery that you can see here. I planted 'Green Wizard' several years ago. I really enjoy the structural aspects of the flowers. The leaves are nice and big, making the plant look more lush. Mine are in full sun also and seem to grow quite straight and about 5ft tall. I like it. I'll bet it is very striking in the garden and in cut flower arrangements. What do you pair it with in your gardens, Debbie and Jeanne? I've got it paired with a white shasta daisy. Maybe not the most inventive combo but the large leaves of the rudbeckia go well with the finer, gray leaves of the daisy. Also, the white goes well with the dark chocolate brown. It's a knock out with orange, red or yellow dahlias. I paired it with a yellow and red striped cactus dahlia in a cut arrangement and it looked really nice. Hmmm, mine is with Digitalis lutea, some salvias and hmmm on the ledge above the pond I have, um, er lots of weeds. I think this must be one of those right brain things. I say the emperor has no clothes. Will you guys still love me if I don't get it? Of course, Wanda! We love you anyway! I'm left-brained, and I like it, so it can't be that. I like them for the interesting structure and shape but they aren't very colorful. You have to get close. They don't make an impact from across the garden, that is for sure! Whew! I was worried about losing my tiarra over this one! Shhhhh, don't tell anyone Wanda but it didn't do anything for me either. Maybe I need to see it in person? Maybe summer's kiss or tokajer. I'm not normally a fan of orange but 'Summer's Kiss' and 'Tokajer' are stunners, Theresa. You can't go wrong with either. I was looking at "Arizona Sun"--the photo in their catalog is even brighter (or does my monitor need cleaning?). I've taken several looks at the Rudbeckia . . . and, well . . . it's bald! But where Yul Brynner used to do something for me, the Rudbeckia is just plain bald. I guess I just like petals. Or maybe this is one that would be just stunning in the right place, in the right combo. LOL! Debbie, are we the only ones that like bald plants?! I love orange! And red and yellow ... The brighter the better! The tokajer is really cool. But then so is Summer's Kiss. Love that bold color. Theresa, you picked some winners there. I had a couple of gaillardia a few years ago but they just kind of fizzeled out. Wonder if I didn't give them enough sun? No, not just us. However, I seem to like a lot of flowers that others don't care for. I still think these are beautiful and very architetural, like many eryngiums. We can't all agree on what is beautiful, but this one works for me. Yeah, it's a good thing we don't all agree on what is beautiful. And yes, you do like some "flowers" that others don't like. I was surprised that you were interested in the Dracunculus vulgaris. Another weird plant nut. Not too many people would be interested in a somewhat suggestive plant with an awful smell! I am really getting interested in arisaemas. Interesting flowers with no smell! Heronswood has some nice arisaemas. I think we/I need a nursery run this spring! Well I am always in search of the weird or unusual too! Anyway that we don't all agree makes for some lively conversation. At least no one is calling me, Jane. You must let me know when you are coming up to go to Heronswood. That is if you want an enabler along! Oh, yeah. All the enablers I can get! LOL. Hey, some of my best friends are bald! Who was it that said, choosing a plant for its blossoms is like marrying a girl because you like her hat? Hey, garden designers - wouldn't having a plant like this in your scheme add a certain je ne sais quoi, like a comma that causes a viewer to slow down and look twice? Maybe not. Maybe it would cause a viewer to wonder why you don't deadhead your spent rudbeckia blossoms. So maybe this plant could be considered a garden practical joke. I like it. I think I'll order some seeds and see what happens. My neighbors are already wondering about me anyway. Red Hare, I love your humor and your observations, particularly "like a comma that causes a viewer to slow down and look twice." We already talk about focal plants serving as exclamation points in the garden, so why not refer to garden oddities as commas? Makes total sense to me. It looks like this year I will need to get a better picture of it, so that you all will drool over it. Or am I too late? It actually has beautiful foliage and is quite a striking plant in the landscape. IMNSHO, that is! Well, now after my first reaction I'm starting to consider it. I'm planning an orange bed and need some contrast and something to cool things down a bit so it's not too brash overall. This green wizard guy seems like a good choice. I second what Red Hare says about choosing plants solely for their blossom. My main complaint about catologues is they show great pictures of the blossoms but not much that shows the plant as a whole. Even if they had a little black and white drawing of the shape, that would be helpful. Theresa, the leaves are somewhat paddle shaped with a pointed tip and are about 5-6 inches at the widest point in the middle. My plant gets to about 5 ft tall. It gets water every other day through a drip tube but no fertilizer and it seems to do okay. It's in full sun. Thanks for the info Jeanne. How wide is it? Not too wide for a large leaved plant. Maybe 2 - 3 feet wide. Screaming Eagle, you have hit the nail on the finger! I agree, catalogues just miss the point so often not provinging some context in which to judge the floral part of the plant--I want to know the height, width, looks of the green foliage-- Especially things like herbs, where the main event isn't the blossom. I thought the Green Wizard rudbeckia looked a lot like my pink and yellow rudbeckias after the petals have faded. Duh! When I first started becoming interested in flowers, I was drawn to things I could dry and make dried arrangements, then I discovered how beautiful dahlias are, and now I am fascinated with foliage and grasses, and last year discovered hebe's, Then in November we went to New Zealand, and I have come home with a whole head full of new ideas, and lots more hebes to investigate! 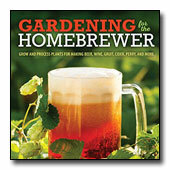 Isn't gardening fantastic? "... you have hit the nail on the finger! I agree, catalogues just miss the point so often not provinging some context in which to judge the floral part of the plant--I want to know the height, width, looks of the green foliage--"
I think many catalogs are geared towards the customer that buys plants for just the flowers. I think we all begin gardening that way, enticed by the flowers. As we mature in gardening we start seeing the whole plant, and other parts become important, such as foliage, textures, etc. But we are also still drawn to the pretty pictures too! I also like to know how gracefully - or not - a plant dies. Sure, it may have lovely flowers but if they don't last long and the whole thing becomes a blackened, mushy mess, I want to know so I either don't plant it or put it where it's ugly death throes are well-camouflaged. But good luck finding that info out in catalogs! Thank goodness for fellow gardeners who can tell me those things.